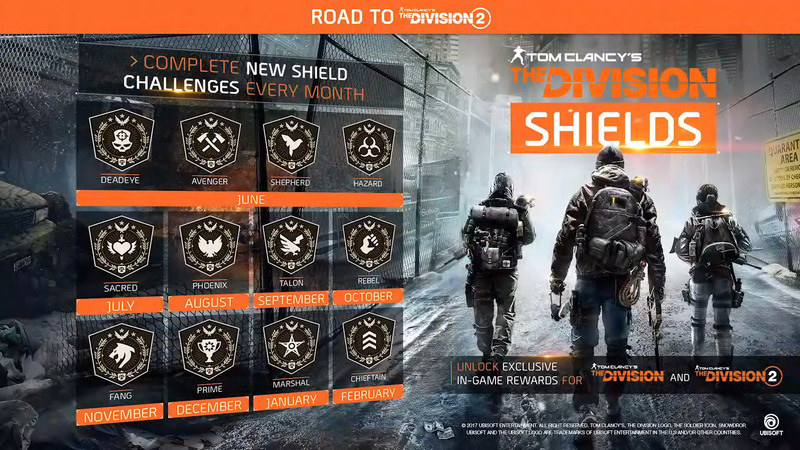 The Division Update 1.8.2 will go live this Thursday, June 14th, and with it, the already announced Shields program, consisting of a dozen challenges waiting to be completed by new as well as committed players in order to unlock new content in The Division 2. During the InsideXbox show on Monday, Julian Gerighty, Creative Director at Massive Entertainment, has talked a little bit more about this in-game achievement system. The program will start with 4 out of 12 unlockable shields, while new ones will become available every month until March 15th, 2019, where The Division 2 comes out. Each one of these shields will reward the player with a little something. This “little something” can be unlocked in The Division 1 and could be currency, collectibles, or even narrative content as Gerighty adds afterward. 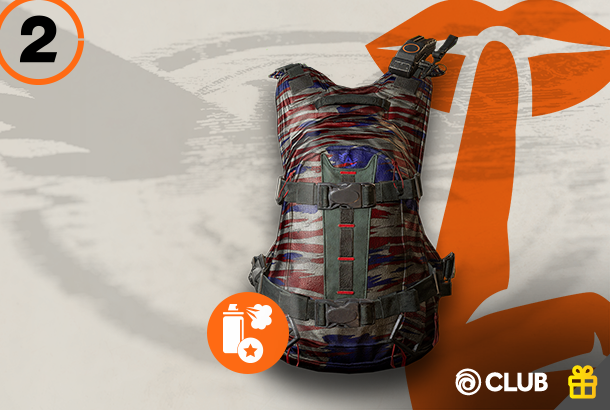 The more shields you own, the more unique content will be unlocked in The Division 2. No detailed information about this content or the way these challenges can be completed is known at this point. However, Shield challenges are retroactive, meaning that things you have accomplished in the past (and now) will be considered when this system goes live and while completing these challenges. The developers have revealed more information about Shields during a live stream earlier this day. To begin with, not all shields will be retroactive – some of them will provide completely new challenges that will get progressively harder. 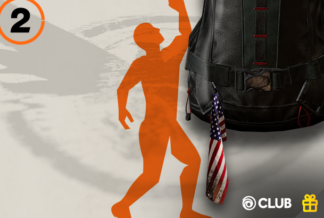 Moreover, you don’t have to worry about not having enough time to complete them, because once they are live, they stay live and will still be obtainable after The Division 2’s release. The progress that is being made on one of your characters will also count for your other ones – Shields is an account wide system. Shepherd: Unlock the Base of Operations. Hazard: Clear 25 Landmarks in the Dark Zone. Deadeye: Complete all of the Weekly HVTs in any given week. Avenger: Kill 10 Named Bosses in the Open World, Dark Zone and West Side Piers. Sacred: Complete 10 phases, get to level 10 and kill 10 Hunters in the UG. Phoenix: Extract 5 items, survive for 5 hours and kill 5 Hunters in Survival. Talon: Attain a Commendation score of 3000. Rebel: Get to wave 15 in Resistance. Fang: Complete all available Legendary missions. Prime: Collect 3 full Classified Gear Sets. 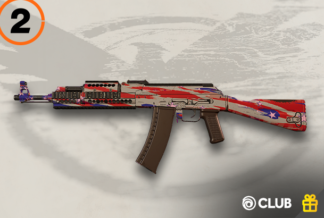 Marshal: Acquire all Exotic Armor and Weapons. Chieftain: Achieve the highest possible optimized Gear Score 290. Completing a shield challenge will grant you a Shield Encrypted Cache. 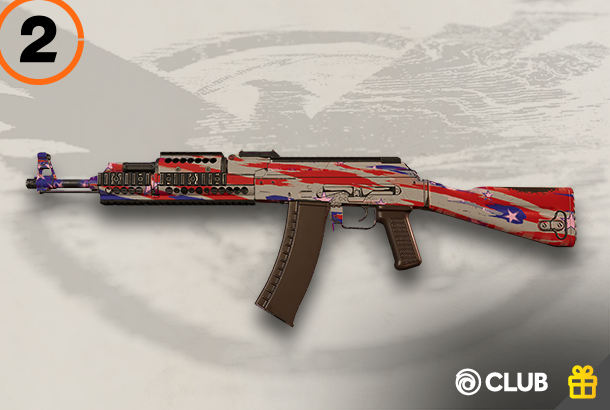 It contains an associated patch (vanity item), an audio log, 1 Exotic item, 2 Classified Gear Set Pieces, 2000 Phoenix Credits, 500 Division Tech and 3 Cypher Keys. The Shields system is divided into 4 tiers. 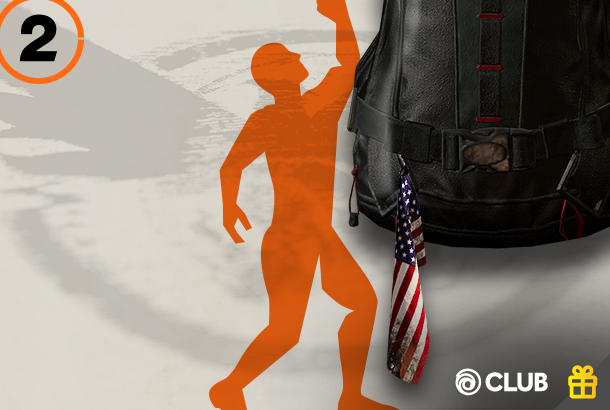 Each tier will unlock certain content in The Division 2. Mastering all of them will also unlock a special outfit. 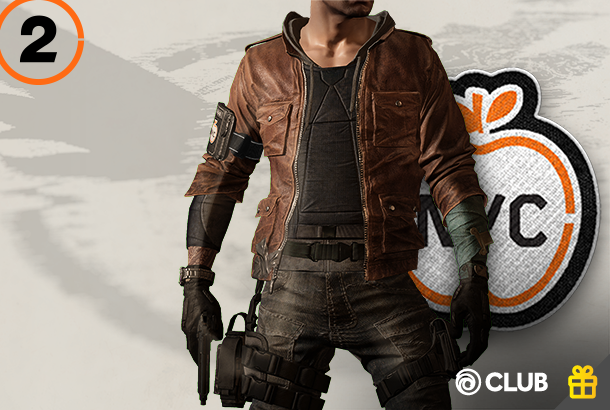 Once redeemed through the Ubisoft Club or Uplay, you will be able to find these vanity items in your in-game mailbox.